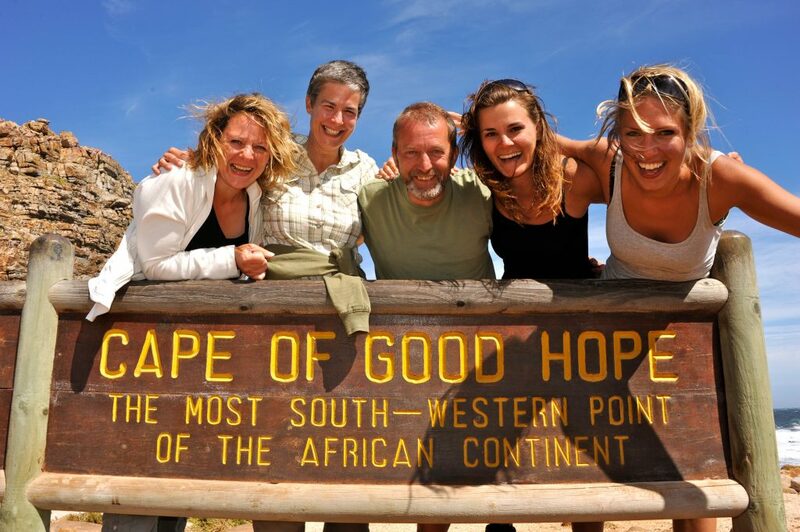 This 17 day South Africa Rainbow Route safari through the best of South Africa is a small group, accommodated safari, and involves trekking, cultural visits and wonderful game viewing in the Rainbow Nation. You’ll see it all on this amazing safari! Accommodation is in simple chalet and cabins. Included meals will be prepared by the tour leader, and clients are expected to participate in general safari chores. 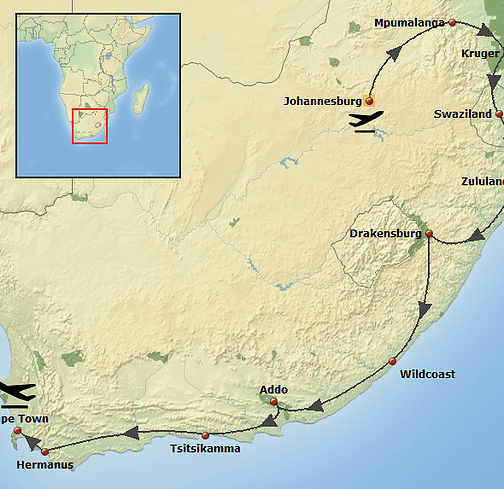 Travel will be via a comfortable 12 seater safari truck or minibus. Departing from Johannesburg at 06:30am we head towards Mpumalanga where mountains, panoramic passes, valleys, rivers, waterfalls & forests characterise the landscape. We enjoy the views from God’s Window before descending off the escarpment and heading to our game lodge on the border of the Greater Kruger NP. The largest game reserve in South Africa, boasts the world’s greatest concentration of species, and has an amazing 16 different ecosystems. 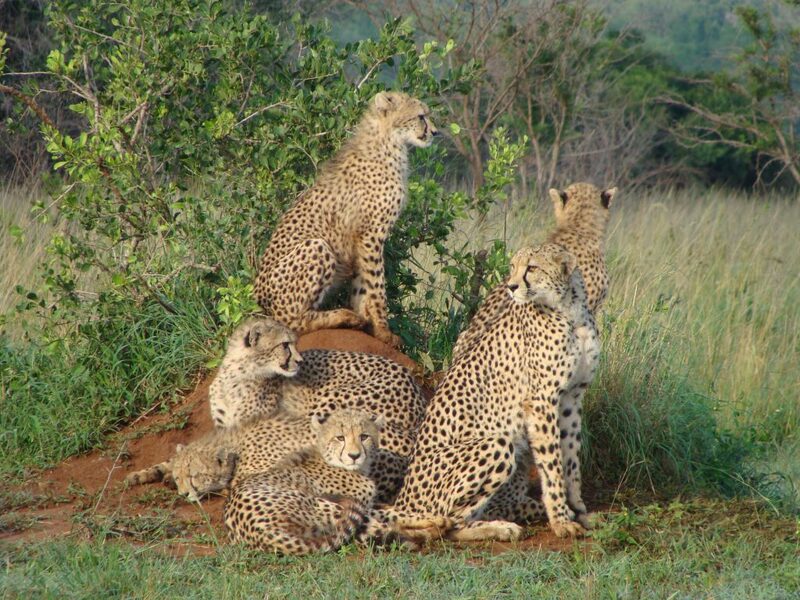 Exciting game drives provide us with excellent game viewing. Spot the “Big 5“ (lion, leopard, elephant, rhino and buffalo) and many other animals in this true African wilderness. Malolotja Nature Reserve in the mountainous Kingdom of Swaziland is our next attraction. Renowned for a great variety of habitats from short grassland, to thick riverine scrub, bushveld and moist forest, we explore the reserve on foot to enjoy the fantastic mountain views, relax around a campfire dinner and stay in mountain cabins for the night. 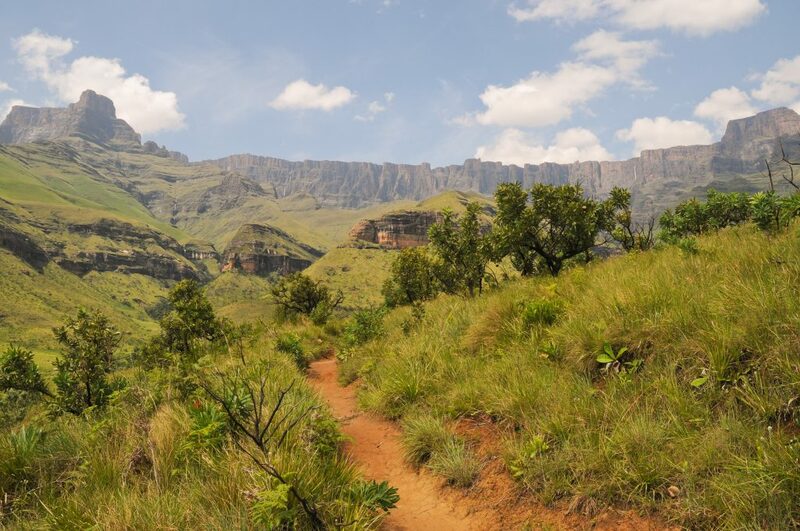 The Drakensberg Mountains or “uKhahlamba” – the Barrier of Spears, is a 200-kilometre-long mountainous wonderland and world heritage site. From Mkuzi we move further south to the base of these mountains where we overnight for two nights in a quaint cottage or chalets. We will spend time walking along beautiful mountain stream paths, or just enjoying spectacular views. The Wild Coast remains a relatively untouched paradise in South Africa. There are unspoilt stretches of dramatic and savagely beautiful coastline, open spaces and pristine forest areas. We stay overnight within walking distance of the beach and the next day is free to explore the area, meet local villagers or relax on the beach. 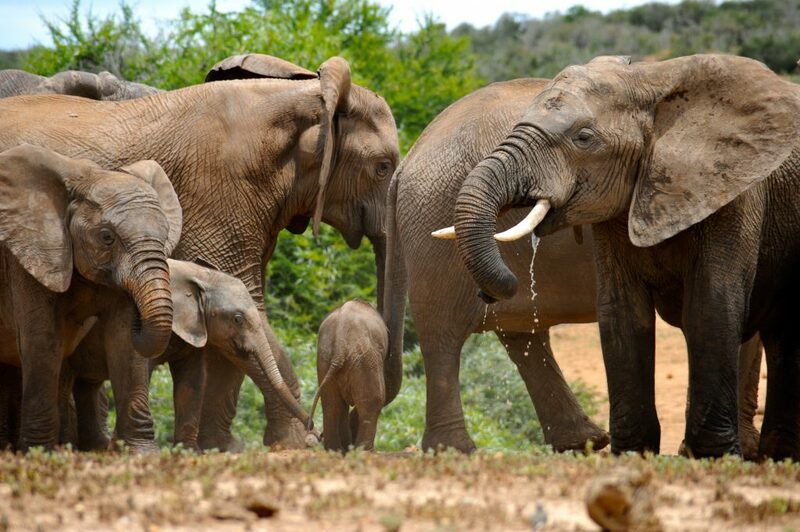 The Addo Elephant National Park was established in 1931 to protect the last 11 wild elephants from extermination. Today more than 350 elephants roam through the area. The park also offers excellent viewing of black rhino, Cape buffalo, lion and leopard, as well as a host of other large and small mammals and over 400 species of birds in the greater park area. 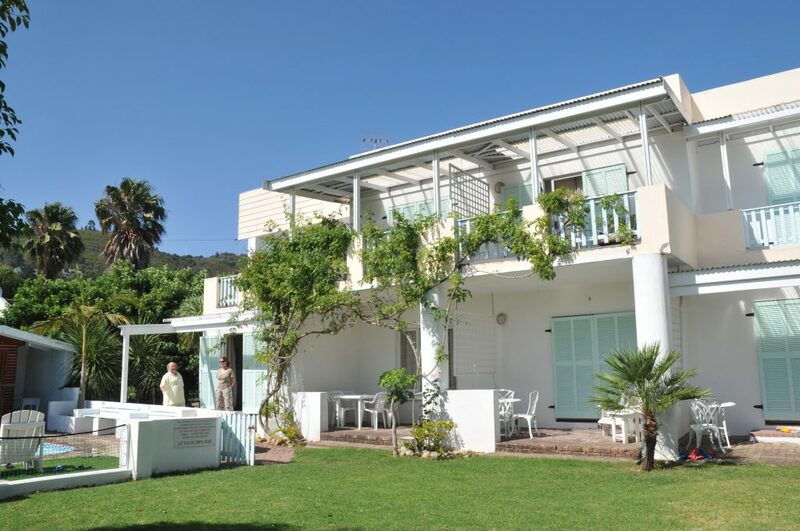 For two nights we will stay in a lodge resort in Knysna, which is nestled on a tranquil lagoon. 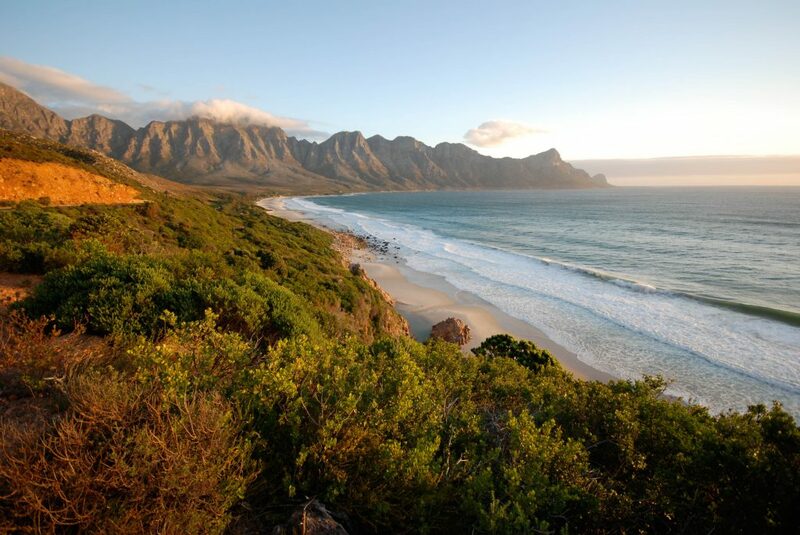 We will take a day trip to the Storms River mouth where there are walks up the gorge and along the rocky coast. 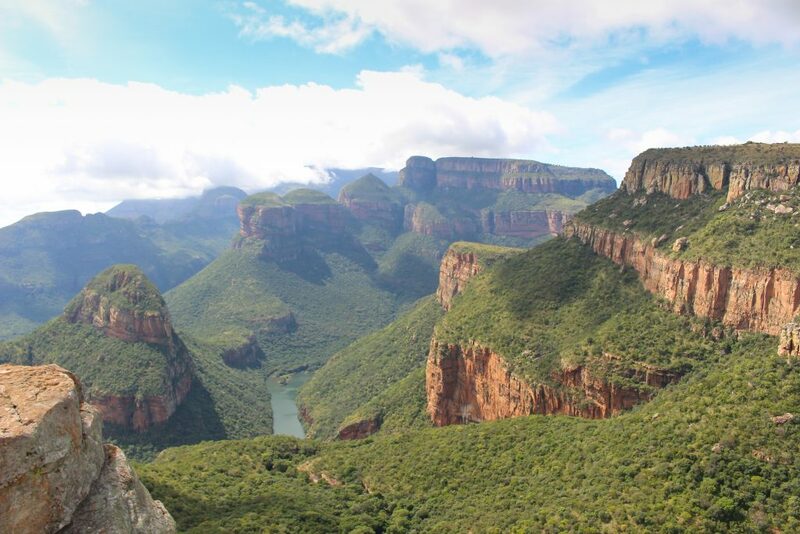 The Tsitsikamma National Park incorporates 80km of spectacular sea and landscapes; a remote mountainous region with secluded valleys, coastal forests with deep river gorges leading down to the sea. There is also an option of the world’s highest bungi jump. Sample seafood at one of Knysna’s great restaurants (own expense). Hermanus offers some of the best land based whale watching in the world. From May to December Southern Right whales come up from the southern oceans to the coast to calve and mate in the shallows. In the afternoon we will take a walk along this beautiful coastline before having a meal out at local restaurant (own expense). Cape Town is one of the most picturesque cities in the world, with the majestic Table Mountain providing its central focus. On our way into Cape Town, we visit Stellenbosch, South Africa’s renowned wine region, for wine tasting (own expense) and a cellar tour. The “mother city” has many attractions; we will visit Cape Point, the harbour at Hout Bay, enjoy the famous beaches and the V&A Waterfront. Optional visit to Robben Island (own expense). We sample the local fare at a variety of local restaurants (own expense). In the morning we climb Table Mountain, offering panoramic views over Cape Town reaching out into the bay and Robben Island. Having explored the highlights of the Rainbow Nation we take a last look at Cape Town and catch up on last minute curio shopping in the afternoon, before your tour ends at 18:00.